Tune into any news channel, flip through a local paper, or scroll through your social media feed, and you're almost sure to see these two words looming: "Tax reform." The current administration is pushing for big changes, which has generated an even bigger buzz. As we near the end of 2017, the uncertainty around the timing and/or likelihood of these proposed changes going into effect could be causing you to second guess your approach to year-end tax planning. Though the president has expressed that he would prefer to have these changes finalized before the end of the year, even he has acknowledged that it is not likely. In fact, he recently alluded to the "years" it took for the last major tax code overhaul to be finalized under former President Reagan. That was 1986, when gas cost about 90 cents a gallon, stamps were 22 cents apiece, and the tax code was around 30,000 pages. Obviously much has changed in 30 years, including the tax code more than doubling in length (it now exceeds 74,000 pages) despite the lack of major tax reform. Thus, if history is any indicator, there is a good chance that the tax code will change in the near future - though we don't yet know when or to what extent. For 2017, smart tax planning means sticking to the basics ... but keeping a close watch on what could be. Sales tax: Under the current law, Tennesseans may deduct either sales tax based on the table provided by the IRS or the actual sales tax paid during the year. And the sales tax spent on a motor vehicle, aircraft, boat, or a home (either a motor home or the materials to build a home) or substantial addition or renovation of a home can be added to the table deduction. If you are planning on making any of these purchases in the near future, doing so before the end of 2017 may allow you to deduct sales tax. Property tax: Currently, property taxes are deductible in the year they are actually paid. Prepaying for 2017 could help you ensure deductibility. Standard deduction: Under the proposed tax reform, the standard deduction would be increased for joint filers to $24,000 from the current $12,600; single filers would have a $12,000 standard deduction, up from $6,300. Although mortgage interest and charitable contributions are not on the chopping block, the increased standard deduction amounts may exceed the amount most taxpayers pay for interest and donations, rendering them essentially non-deductible. Charitable giving: With the potential increase in the standard deduction, consideration should be given to maximizing charitable gifts in 2017. With the surge in the stock market, consideration could be given to gifting appreciated stock to charity. It's the best of both worlds - no tax on the gain and deduction for the fair market value of the stock. Many of the investment funds provide access to donor advised funds - a tax-effective way to consolidate, accrue, and grant assets to charity. Retirement savings: The best way to save on taxes is to maximize your retirement plan funding. Although there are no proposed changes regarding retirement savings, funding for retirement is like the adage of eating an apple a day - it's just good medicine. Make certain you are maximizing your deferrals, and consider additional funding that might be available for contract revenue through a SEP or SIMPLE plan. 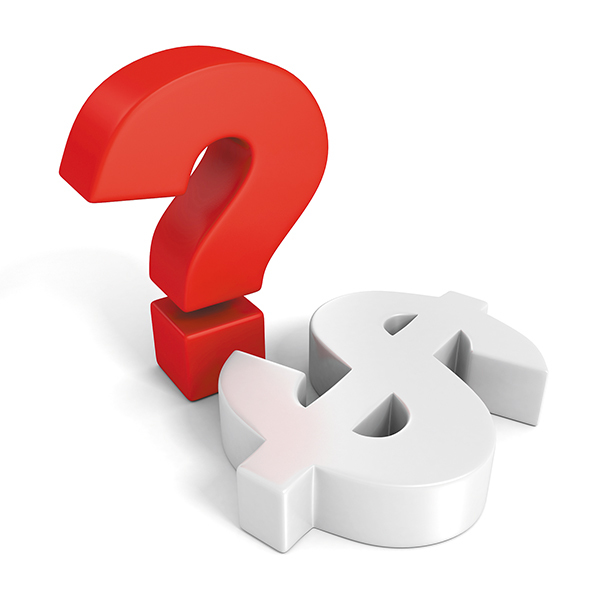 Even funding a non-deductible IRA makes sense for income deferral. Health savings accounts (HSA): An HSA is used with a high-deductible healthcare plan to help save for qualified medical expenses. For 2017, a family can contribute up to $6,750 and individuals up to $3,400 (plus a $1,000 catch-up contribution for taxpayers over 55) of pre-tax income to an HSA. There are two other changes included in the tax proposal that could have a positive result for individual taxpayers: The end of alternative minimum tax and the elimination of the estate tax. How these changes will affect other provisions (i.e., the carryover of alternative tax paid in previous years and the step-up in basis for property passed through an estate) remains to be seen. Changes proposed for businesses are basically a reduction in the tax brackets. The proposal calls for a maximum tax rate of 25 percent for partnerships and S corporations, which is puzzling because both of these entity types are classified as "pass-through," and currently there is no entity tax. The proposal also includes reducing the corporate tax rate to 20 percent, which is good news for personal service corporations (i.e., incorporated physician practices) that are currently taxed at a flat rate of 35 percent. Business tax planning for 2017 is more of the same. If you practice in a C corporation that is classified as a personal service corporation, make certain that you are not retaining profit when the countdown to 2018 ends. Otherwise, you may be looking at 35 percent federal tax plus another 6.5 percent excise tax in Tennessee. Although there are no proposed changes to the current depreciation rules (i.e., the first-year Section 179 expense and bonus depreciation), there is also no guarantee that they will continue as-is. But if you're planning to purchase equipment, it would be best to consider doing so in 2017 while the current depreciation rules are certain. For now, we recommend basing your tax planning approach on the current law for 2017, staying in touch with your CPA or tax advisor, and monitoring any changes that could be on the horizon. For additional perspective on proposed tax reform, please click here for Jerry Moss' article in The Kraft Advantage newsletter comparing the Senate and House versions of tax reform. 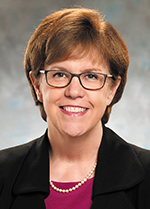 Lucy Carter, CPA, is a member (owner) in KraftCPAs PLLC and practice leader of the firm's healthcare industry team. You may contact her via email at lcarter@kraftcpas.com. For more information, visit www.kraftcpas.com/healthcare.htm.